Helmet Rig The Kryten. Our world-famous camera helmet rig. Others have tried and failed, our design is best one there is and the original one! Want to see some footage from the rig? Of course you do. 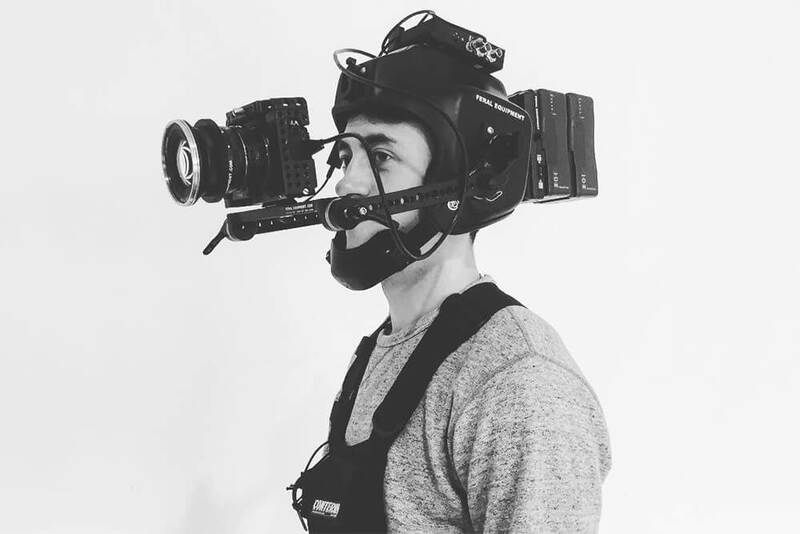 Duke Dumond’s legendary I Got U music video was shot on a combo of our helmet rig, Sony A7S and Zeiss lenses. Want a full shooting kit with it, including camera and lenses, director’s monitor, focus puller’s monitor, and a cute unicorn sticker? Enquire within. Please note we advise the helmet worn by an adult standing or walking at a slow pace on firm terrain. To all you crazies wanting to mount it on people running down a hill, we say, why not go Gopro?